Snohomish County's median price was up 13.96 percent year-over-year from last May to this May. 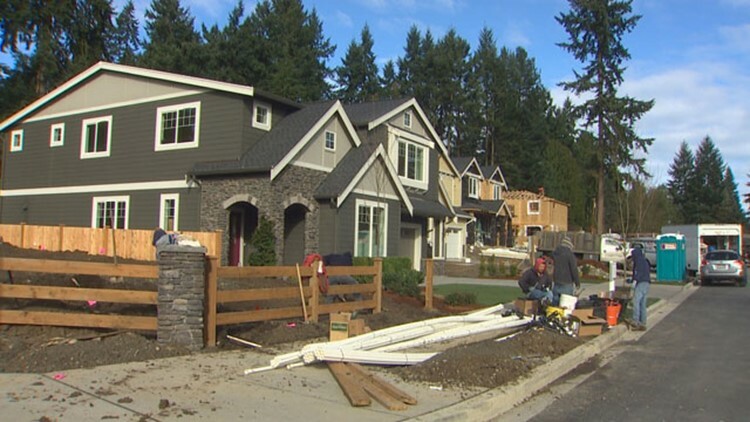 Snohomish County has the tightest housing market in Western Washington, according to NWMLS data. There’s just one month of inventory on the market. That absorption rate shows how long it would take to sell the current homes on the market. King County has 1.12 months of inventory. The median price in Snohomish County is $478,615, according to the NWMLS. King County’s median May home price is $650,000. On KING 5’s Priced Out podcast, host Ryan Takeo takes us to Everett where we hear from two renters. One is looking to buy somewhere else and the other is looking for a new place amidst rising rents. Louis Nichols said his landlord has sold the house he’s renting.